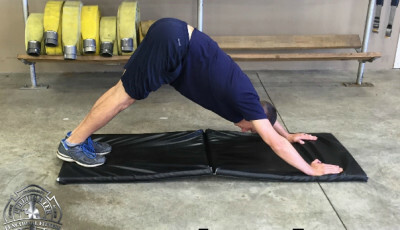 When it comes to Firefighter Functional Fitness, you are only limited by your imagination with the tools and equipment you can use to improve your cardiovascular capacity, your strength, and your flexibility. 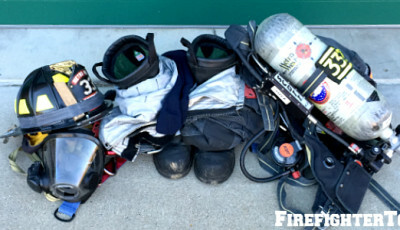 “Standard” exercise equipment such as barbells, and dumbbells, common firefighting tools and equipment, and bodyweight exercises are all very effective in helping to achieve your functional fitness goals. But one of the most effective and efficient tools you can use is the Russian kettlebell. When it comes down to it, a kettlebell is essentially a cast iron ball with a handle on it – on the surface, there’s really not much to it. But their design, versatility, and relatively low cost make them a excellent functional fitness modality. Kettlebells can range anywhere from $1-2/pound depending on the brand, and quality and workmanship do make a difference. If you are a beginner, there’s no need to purchase more than one kettlebell to get started. Most high-quality kettlebell weights are measured in kilograms (kg). 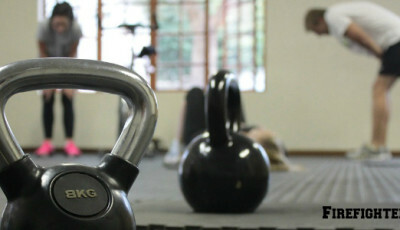 For a typical male, start with a 16 kg (~35 pound) or 20 kg (~45 pound) kettlebell. Females can start with an 8 kg (~18 pound) kettlebell, and work your way up from there. 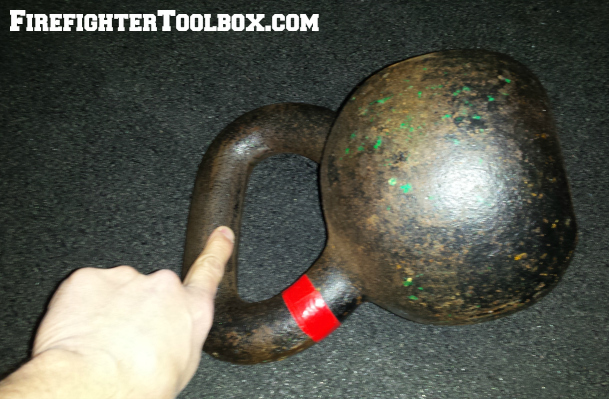 With Russian kettlebells, you usually get what you pay for. A higher “cost per pound” typically indicates higher quality control in the casting and manufacturing process as well as with the finish of the kettlebell. Good quality control equals more consistent and accurate weights when the kettlebells are manufactured. Casting seams (especially on the underside of the handle) should be ground smooth. Avoid very small diameter handles—they are very difficult to control when performing certain movements. Handles that extend out beyond the diameter of the ball are easier to use when executing two-hand kettlebell movements. This kettlebell handle is not ground smooth. Notice the seam on the underside of the handle. Make sure your kettlebell has a smooth, flat bottom. 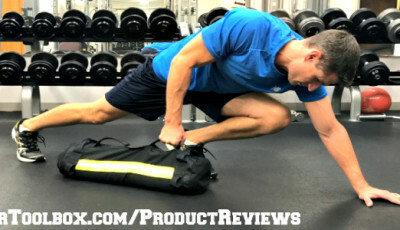 Not only is this an important feature for some exercises you will do, it also comes in handy for stowing and storing the kettlebell. A kettlebell with an uneven bottom is also more prone to wobbling and falling over. 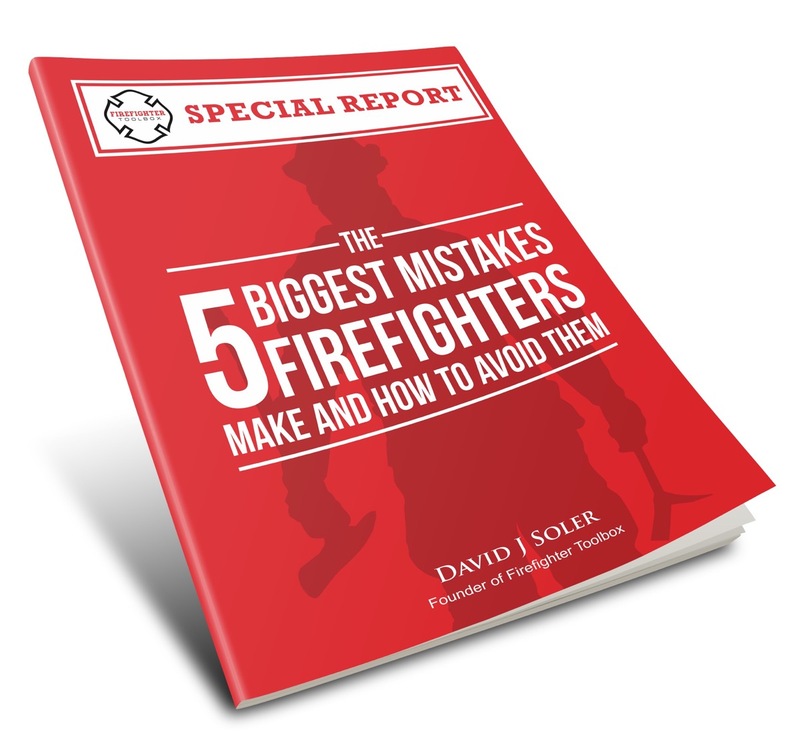 If you train with kettlebells in bare feet like I (Dan) do, it doesn’t feel too good if it falls over on your foot! Like anything else you buy, once you start comparing products, you’ll be able to make a more informed decision on what to purchase. There are many reviews available on the internet that have been done by certified kettlebell trainers which are very useful. When you’re ready to add another kettlebell to your collection, keep the following in mind: most Russian kettlebells increase in 4 kg increments – that’s roughly 10 pounds each time you increase your weight. This can be a significant weight increase for anyone. Along with considering the next heavier kettlebell, you can also purchase a second kettlebell of the same weight and use two kettlebells to execute “double bell” movements and exercises. When in doubt, consult a certified Russian kettlebells instructor who can guide you on which brands to consider and which weights to purchase based on your current level of fitness and knowledge of proper usage. As always, remember that exercise tools and equipment are not toys. To avoid injury, it is extremely important that you are properly trained in the safe use of Russian kettlebells before you set out on your own.